Oak Hill Cemetery, in Battle Creek, Michigan, is one of the oldest cemeteries in Battle Creek. The cemetery is on land that was donated by one of Battle Creek's early pioneers, Sands McCamly. It was started in 1844 and is still being used today. Oak Hill Cemetery, on South Avenue, is a part of Battle Creek history and home to many pioneers, war heroes, merchants, mayors, cereal industry magnates, religious leaders, Underground Railroad conductors and more. Walking through Oak Hill cemetery is like walking through the history of Battle Creek. Beyond These Gates is a book that tells the story of the cemetery's' notable internment's. It was first published in 1989. Recently, it was decided that an update to the book was needed. The second edition of "Beyond These Gates includes information on over 950 pioneers and historic figures that left their marks on Mid-Michigan." 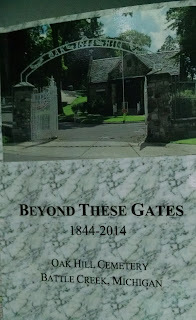 (Source: Jackson, James, Editor "Beyond These Gates 1844-2014" (Oak Hill Cemetery Company, 2015) back cover. Personally, I have two families interred in Oak Hill; Tully Daniel Fenn, my great, great uncle, and his wife, Ella Mary (Blake) and their son, Warren Orlo Fenn and his wife, Elizabeth (Huggett). They are not mentioned in Beyond These Gates book, but Elizabeth's father, Harry R. Huggett is. Harry R. Huggett was a native of Calhoun county and a successful farmer. Beyond These Gates may be purchased in a variety of places. 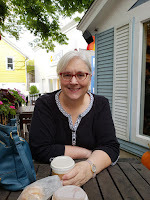 I chose to support my local bookstore, Battle Creek Books, a wonderful bookstore with terrific owners. 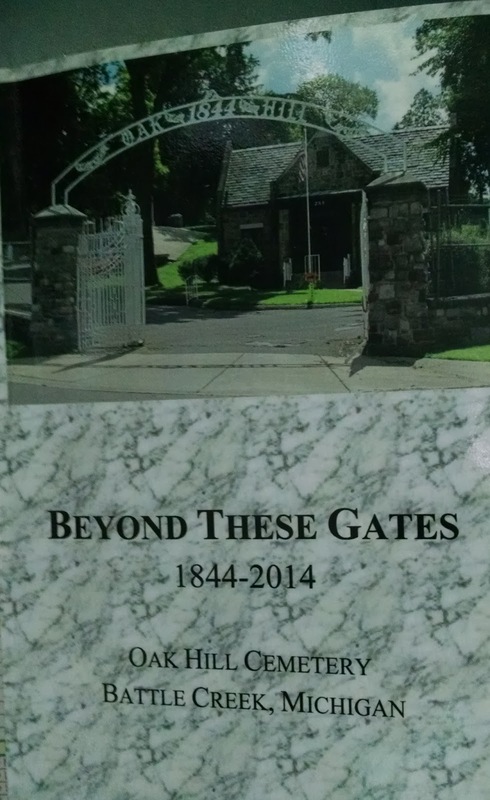 Beyond These Gates is a must read book for those who are interested in Battle Creek history. I enjoy having it in my collection.